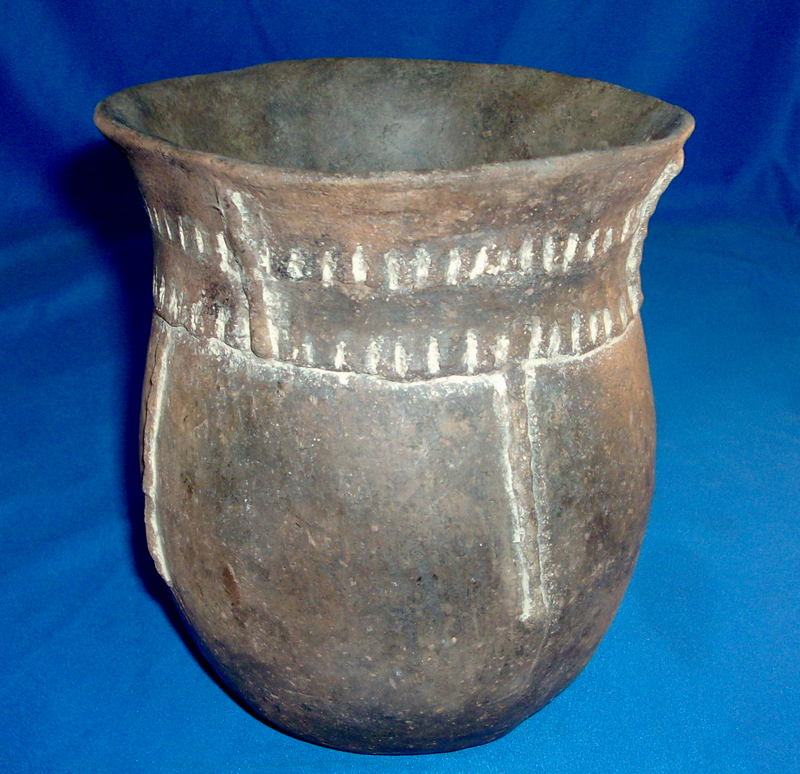 A Medium To Large Size, Well Made, Red River Focus, Caddo Nash Neck Banded Jar That Exhibits Surface Aging And Clay Coloration Patination, Aged Open Pit Firing And Firemarking, Visible Surface Grog Deterioration, Evident Ancient Bottom Use Wear, Correct Material And Manufacture For The Area Found. The Type Is Found Usually Above The Big Bend Of The Red River Area In Texas And Oklahoma, Along The Red River. Pictured In "Art Of The Ancient Caddo Page 33, Figure # 27. Includes A Ken Partain Certificate of Authenticity!